When Chef Edwin Sandoval Cruz cooks, he combines his Honduran heritage, his culinary background, and his love for fresh food. Chef Sandoval is the owner of XATRUCHO, which he describes as a private food concept. The word Xatrucho is a nod to his Honduran roots: Edwin was born and raised in Honduras, moving to Colorado at age 10. Xatrucho (pronounced ca-tru-cho) refers to a general in the Honduran army as well as a nickname for the Honduran people. 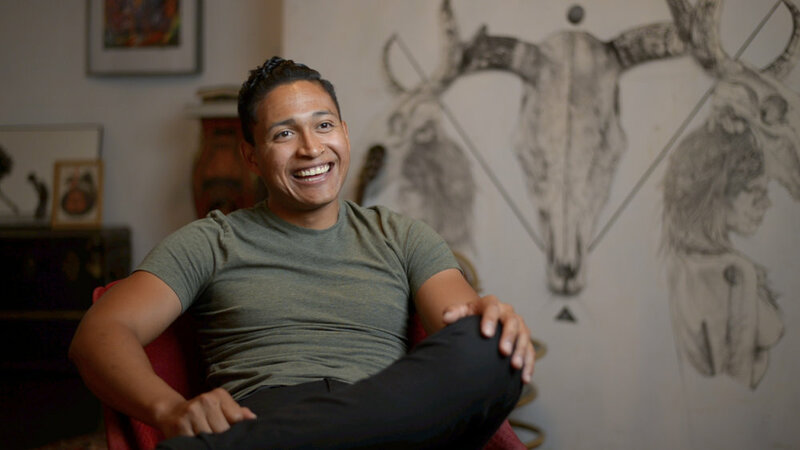 Through his cooking, Edwin hopes to show people that Honduran culture is far more than what we see on the news- it is positive and influential. Throughout his journey as a chef, Edwin cites perseverance as a main factor. He started off as a busboy at a restaurant in Colorado Springs. After his shifts ended, he was eager to make extra money for school, so he ended up in the kitchen assisting the cooks. As a young chef, he realized his passion for engaging creative freedom with cooking, and ended up working to create XATRUCHO, a concept with, in the words of Chef Sandoval, “a basis in the past and a focus on the future.” There is intrigue in the process of blending Central American and Latin flavors with more classic styles of cooking, and XATRUCHO explores this theme. Knowing where your food comes from is important to Edwin. Through his different chef jobs, he realized that getting a box of random vegetables does not have the same satisfaction as knowing local farmers and creating meaningful connections within communities. Edwin uses produce from our very own farm at Re:Vision, and loves picking vegetables with David. “I go to farms and probably eat just as much as I buy from them! I love being there,” Edwin shares, laughing. For Edwin, getting his hands in the soil and growing his own food has been an important enhancement to his occupation as a chef. Two years ago, he participated in our Backyard Garden program, where he had Yuri as his promotora and guide to all things food-related. He describes the joy of getting up in the morning to water the garden and of learning about vegetables he didn’t grow up eating. The phrase Buen Provecho takes Edwin back to his childhood in Honduras. He is reminded of the importance of eating with family, the value in sitting down to fully enjoy a meal, and the satisfaction of putting fresh food into your body. For BUEN PROVECHO, Edwin will be preparing a garden salad and incorporating fresh hydroponic greens from Re:Vision’s Caja Verde, as well as carrots and beats from our Urban Farm. To purchase tickets to BUEN PROVECHO, click here.